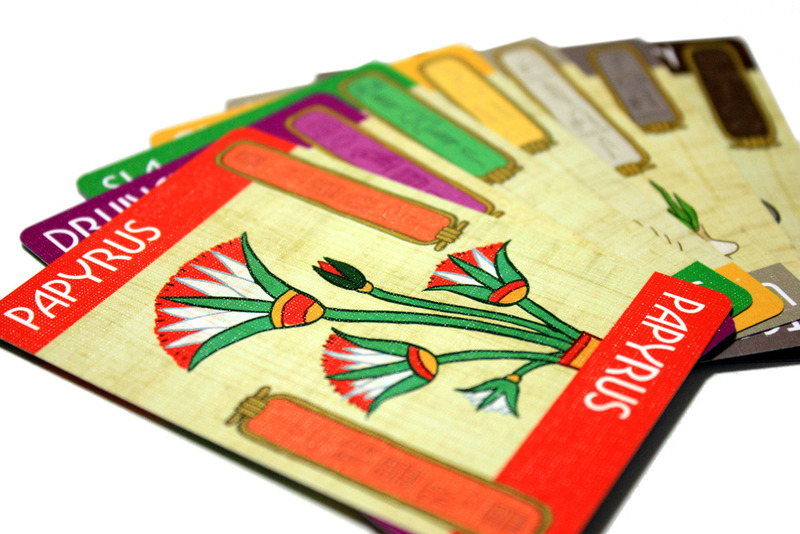 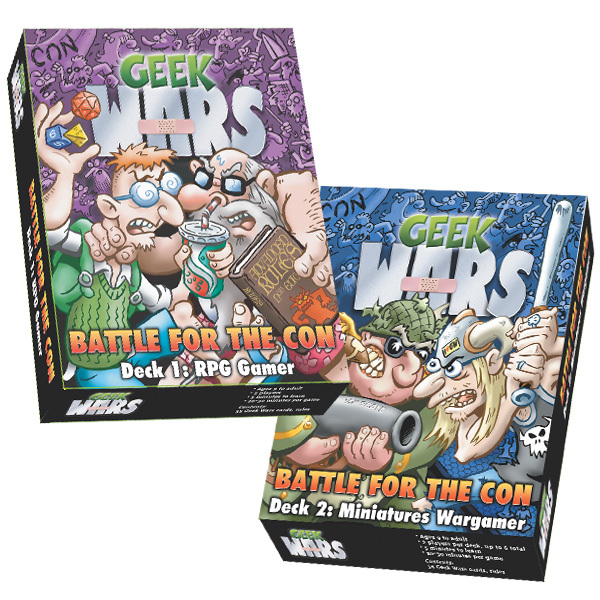 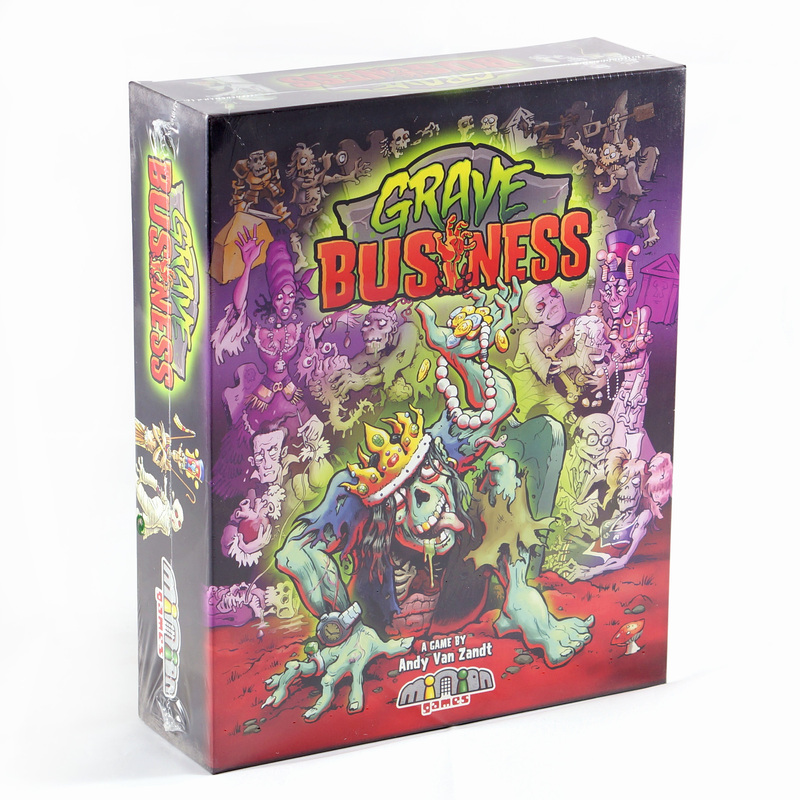 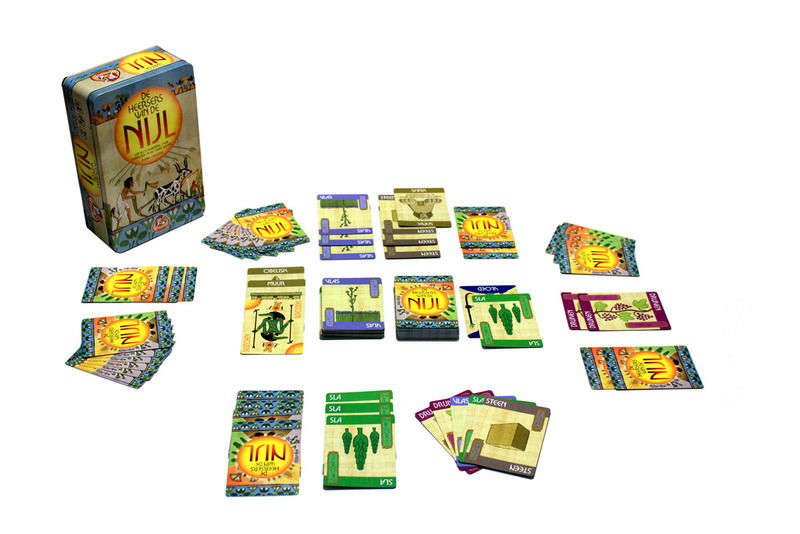 IIllustration of box cover art, and playing cards. 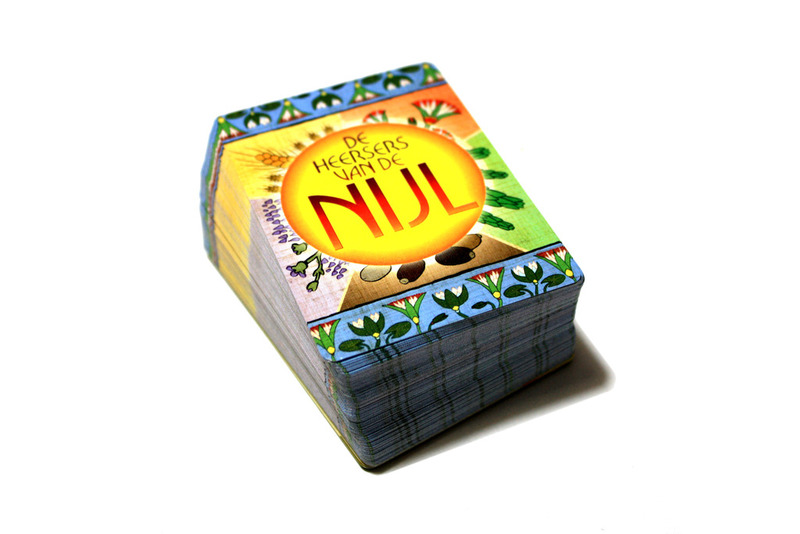 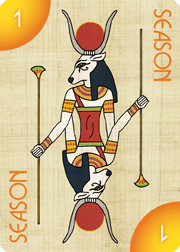 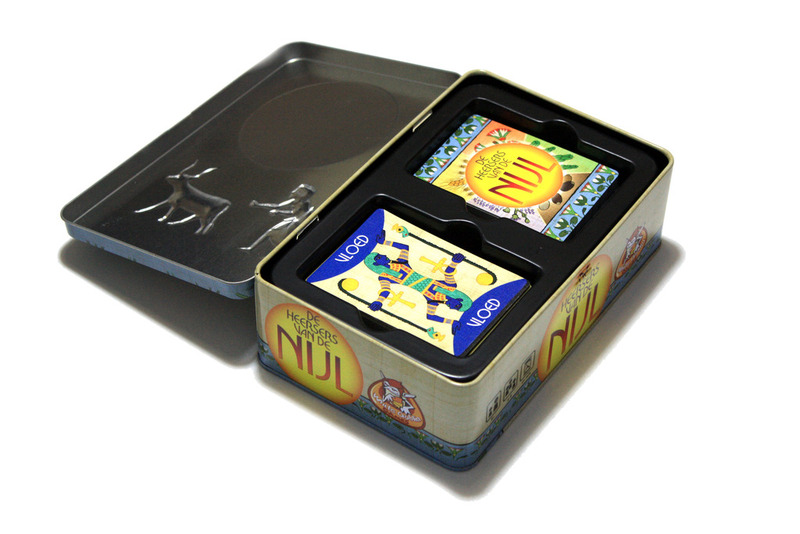 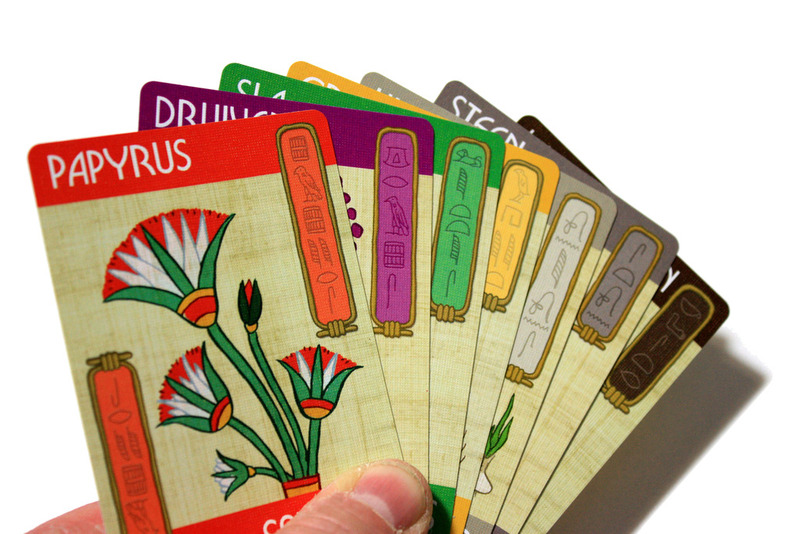 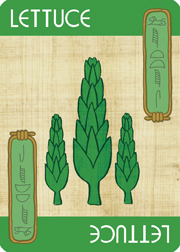 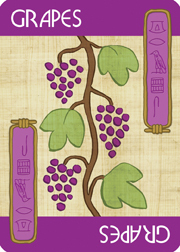 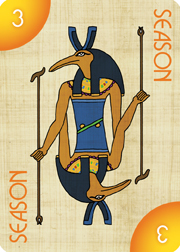 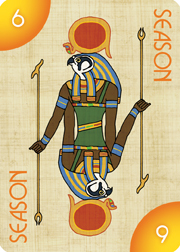 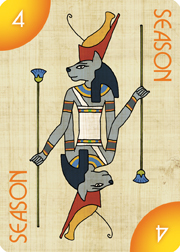 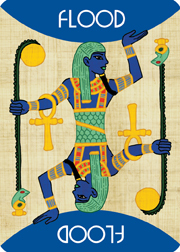 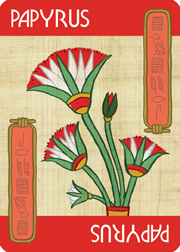 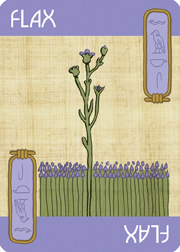 Nile the card game consists of 92 cards. 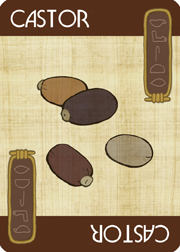 There are 5 suits each representing a resource type in Egypt. 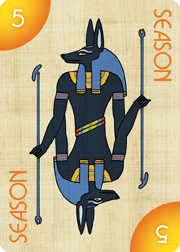 There are also specialty cards showing multiple resource types. 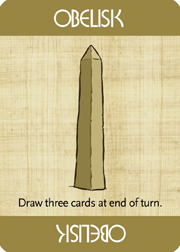 Players draft cards into their hands and play them following simple rules. 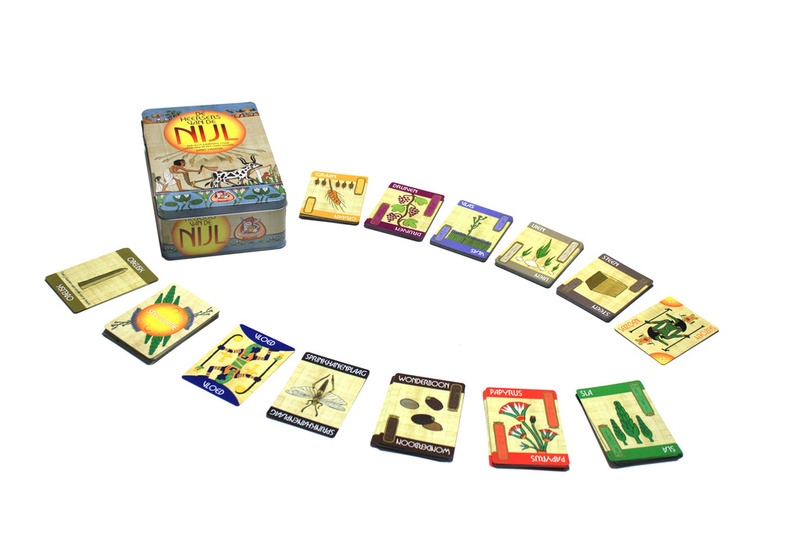 At the beginning of every turn a flood card is drawn showing one or more resource type. 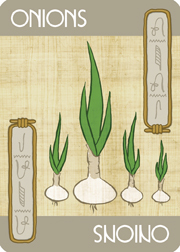 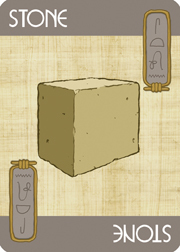 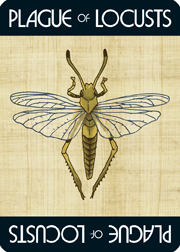 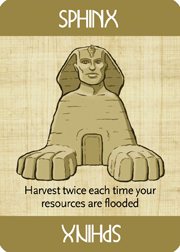 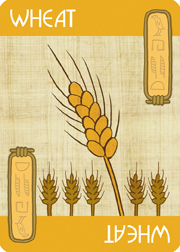 That resource type is harvested by the player currently growing it. 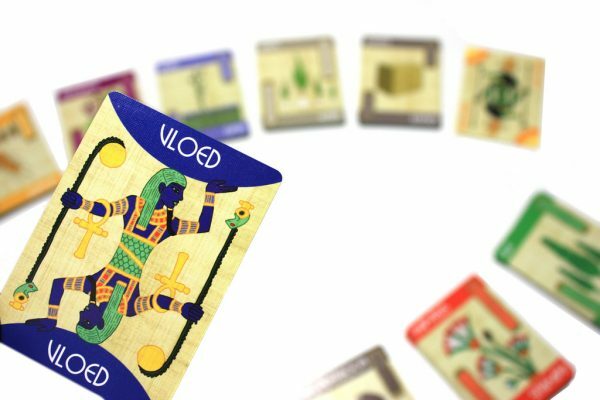 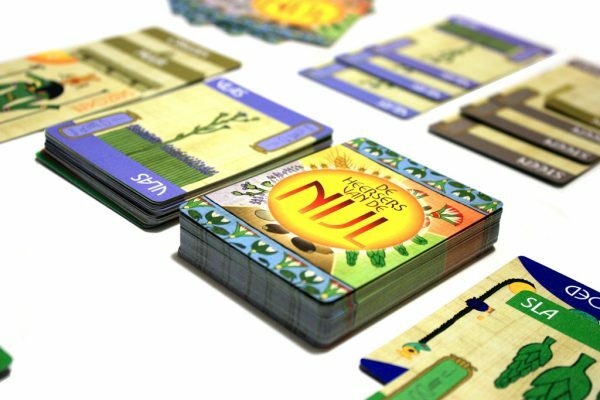 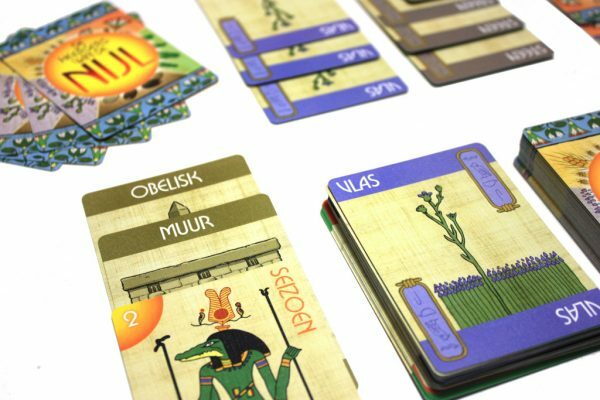 Nile DeLuxor is a reprint of the card game Nile that includes the original game plus a new expansion. 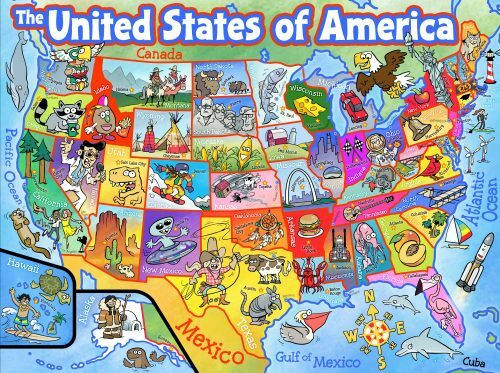 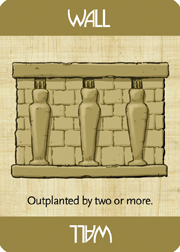 The expansion adds several new cards including two new crop types, monuments, and turn counter cards. 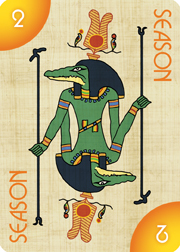 The number of players is also expanded to allow for as many as 6. 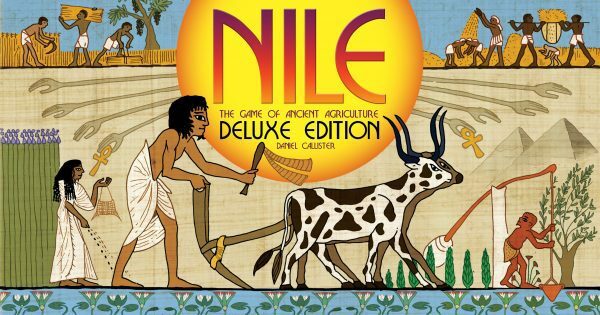 Note – The version for sale here is the US Nile DeLuxor boxed edition, not the Metal Tin edition shown in the photos. 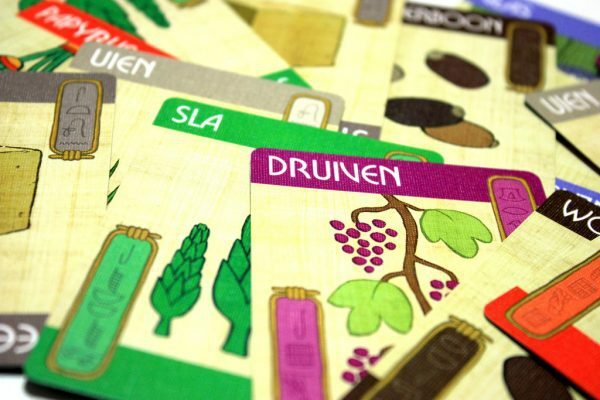 That was only available in the Dutch market. 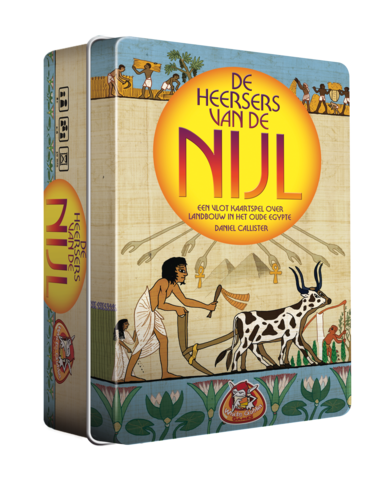 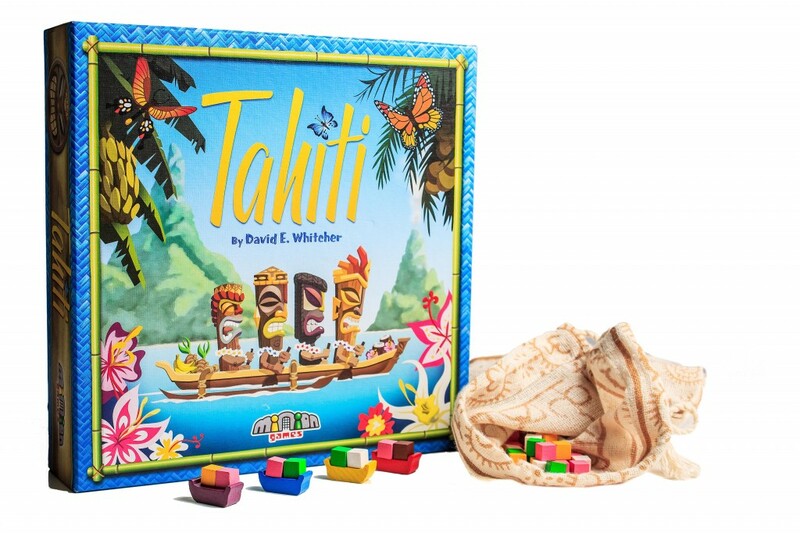 The tin box edition was in dutch and only released in the Netherlands.